Hello. 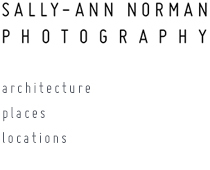 I’m an architectural and location photographer based in Gateshead, Tyne and Wear. Generally speaking I work for architects, designers, book publishers, developers, suppliers to the construction industry, councils and artists. I shoot on location ; buildings and places, rural and urban ; shooting exteriors, interiors, product shots within a location, landscapes, townscapes, editorial shots and sometimes even portraits. I’ve been in business for over 20 years and have seen much change within my industry. My goal is to supply dynamic images to my clients – that goal hasn’t changed since I left art college in the early 1990s. Back then, professionals were employed because only we could get high quality images using very bulky and time consuming kit, nowadays everyone can, so why hire a pro ? Because we know what we’re doing ! I know that sounds glib but as the old saying goes ‘ a picture tells a 1000 words’ and if that picture is great, it’s job done. If it’s not, it could do your company a lot of damage. Having the technical know how to get the shot on every shoot plus some top end kit to record it on is one thing, the real skill of a photographer is problem solving ; how to be in the right place at the right time is key to getting the right shots. I love my job and I appreciate it every day. I’m interested in architecture, construction and town planning and all things visual. I enjoy getting out and about to shoots, meeting new and interesting people and solving the problems of weather and logistics on a shoot, vans being in shot, litter, how to get access to the right viewpoint, etc etc. I live in Gateshead with my two teenage children and dog. I enjoy playing the piano, walking in the countryside, cinema and theatre.